They have now signed a worldwide deal with new British label By The Time It Gets Dark. FACEBOOK. Some feisty rock riffs and passionate vocals make 'We Are All Going To Die' grab those ears moments in. There is no let up on this one, it's power all the way. Esbie Fonte - Ace's High. Background - Born to a Peruvian and Italian family, Esbie became closely familiar with the struggle that most talented artists face by watching her multi-instrumentalist father navigate the niche of folk and bluegrass music over the course of many years and a cross-country move. Being his biggest fan meant hanging onto his coattails for frequent trips to the local record store, gigs around town and at-home sessions with a variety of string instruments. With a performing arts high school education and exposure to the SF music scenes under her belt, Esbie took her own art to new heights at Sarah Lawrence College, immersing herself in music and politics courses so that her passion for sounds and social activism could be fused on the academic track. This passion carried her through a lonely year abroad in Cornwall, England, where she studied production and engineering at the school studio and learned how to record her own nascent project. Struck by her peers’ innocent nonchalance towards “making it” in the music industry, Esbie was inspired to embrace solitude as a creative tool to advance her unique vision, untampered by the transient trends of popular music back home. Thus began Esbie Fonte, the project that would come to embody her innermost framework of musical thought. As she began to think more globally, the music grew from its roots in folk, fed by a shining love for singer-songwriters like Joni Mitchell and Joan Armitrading, and tempered to maturity by the blues of Bessie Smith and Billie Holiday. Fresh out of college and having achieved solace in going solo, Esbie was unafraid to explore the concrete jungle that is Los Angeles, where she recently relocated to pursue music more seriously. A couple bouts of window-shopping at Guitar Center led her to test her own music on a series of studio monitors, which attracted the ear of her now-collaborator and other half of Esbie Fonte, Peter Tilley. Together they have taken her bedroom production efforts to new heights and forged a truly standalone sound. WEBSITE, FACEBOOK. Esbie's brooding and delectable vocals give 'Ace's High' some real distinction. Add in the musical arrangement where the clarity and attention to detail is top class and we have one very delicious song. 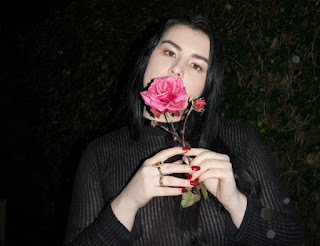 Background - UK via Australia moody pop chanteuse Parker returns with her first offering of 2018, an ethereal alt-pop earworm entitled "High" (Killing Moon). 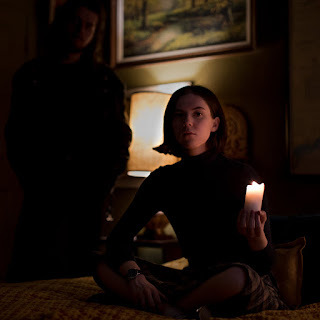 Pairing up once again with Rupert Lyddon (Gabriel Bruce, Grand National) the track is a gorgeous display of Parker at her finest; breathy and broody pop vocals, haunting melodies and deeply personal lyrics that mix together to create another dark pop gem. When discussing the inspiration for the track, Parker says, "I wrote 'High' a few years ago, when I’d first moved to London and recorded it with Rupert (Lyddon) in his studio. The song came out of a general teen angst phase, I was going out a lot and having my ‘is this all there is’ moment. I’m fascinated by people’s need for escapism (including my own) and I guess the song is about the juxtaposition of being young and having all these big dreams but then being scared, so I’d just run away from them instead." The new single follows 2017's "Runs And Rides" and "Thighs", her breakout track that has already racked up over 250K streams on Spotify and landed her a synch on MTV’s Catfish. Hailed by Breaking More Waves as "midnight menacing electronic pop music" with HillyDilly adding "expect a bright future for her", the 21-year-old musician songstress is one to keep your eyes on for 2018. Born in Doncaster, brought up in Australia, and now living in Hackney, Parker has had anything but a conventional life. Saying her goodbyes to her family in Australia and buying a one way ticket to England to focus on her music career, she hasn’t looked back since. 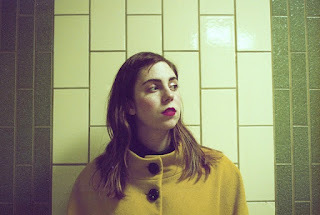 Spending much of last year writing and recording new material and now with four incredible songs under her belt, Parker remains one of the most exciting new artists to emerge in recent years, ready to show the world what this Aussie is made of. FACEBOOK. 'High' exudes atmosphere and emotion, Parker's solicitous vocals and the slow rhythmic music combine to fire musical hooks in all directions, on this contemplative song. Background - MaidaVale have since the release of their debut album "Tales of the Wicked West" in August 2016, toured Europe intensely. 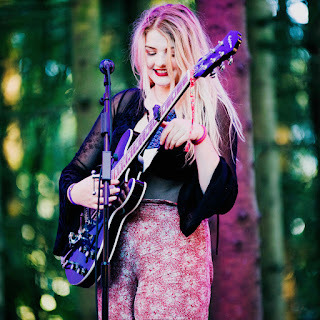 With a captivating performance and psychedelic groove they have enchanted their audiences. 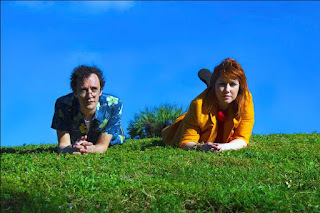 The live sound of MaidaVale have always leant towards the experimental scene of the ’60s and ’70s, something that have reinvented their sound on the new album. 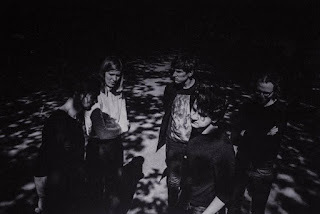 The band have worked with producer Jari Haapalainen which have led them further down the kraut and experimental path. 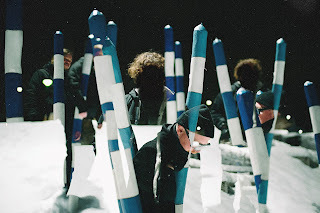 The strong melodic and psychedelic elements from their debut is still present as the foundation on their upcoming second album. MaidaVales new album “Madness Is Too Pure” will be released on The Sign Records 23rd of March. 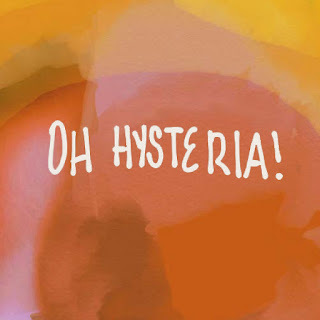 This week we see the release of the bands second single 'Oh Hysteria!'. 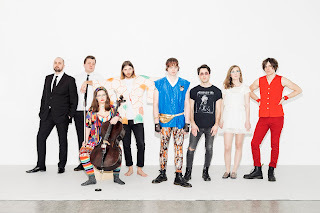 The album was produced and mixed by Jari Haapalainen who has previously worked with artists such as Ed Harcourt, Camera Obscura, Johnossi, Sahara Hotnights, True Moon and The (International) Noise Conspiracy. The album was recorded during six days in November 2017 at The End Studio outside of Lund, Sweden, engineered by Tommy Tift (Vånna Inget, True Moon). FACEBOOK. 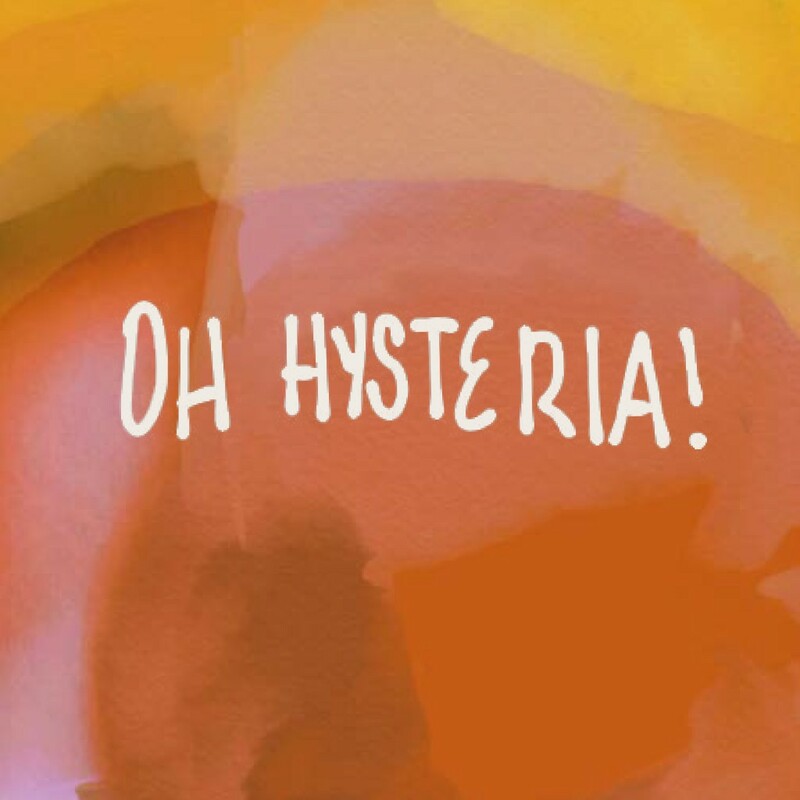 The music is manic and urgent on 'Oh Hysteria!'. The more refined and melodic vocals add atmosphere and drama to the piece, combined this is a fabulous mix of high energy rock which refuses to be calmed. Deanna Petcoff - Terribly True. Background from Deanna Petcoff - I'm an independent artist based out of Toronto, ON. The past five years of my life have been spent playing alongside my first band, Pins & Needles. Following our disbanding last month, I embarked upon my solo career, and the creation of my first single. Musically, I lean towards a classic feel, and I’m always thinking “what would a 1960s soul singer do?” This is filtered through 60 years of pop/rock influences, and results in a song like “Terribly True.” My producer and I discussed a lot of influences for this song, including Alabama Shakes, Angel Olsen, and David Bowie with his ringing acoustic guitars and melodic synths. “Terribly True” was inspired when I realized that it wasn’t the person I was seeing who I was in love with – it was the idea of being in love itself. I was trying so hard to make them happy that I forgot to check in with myself and my truth. What I found when I finally did was so painful to come to terms with... I think everyone feels that at some point, and it’s really hard to articulate when you feel like the antagonist of your own story. It’s also hard to admit that you’ve been lying to yourself, but I think there’s importance in the act of admitting that out loud and sitting in that feeling for a moment. It’s a very vulnerable place, and vulnerability is my favourite place to write from. FACEBOOK. The theme and lyrics on 'Terribly True' might be contemplative and serious, however that doesn't negate the fact that this is one very engaging and catchy indie song. The melody is subtle, the vocals sincere and determined, the influences to the song, are just that, this is clearly Deanna Petcoff's work.